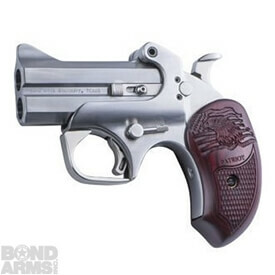 Our intimidating Ranger II packs a big punch! 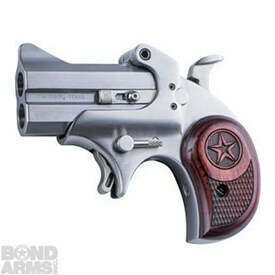 An extended grip featuring a metal lone star badge insert grabs a hold on a 4.25″ double-barrel chambered to fire up to 3” .410 shot shells and .45 Colt, (also available in .357Mag / .38Spl). Not Available in California or Massachusetts. 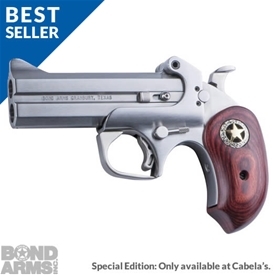 To find a firearm dealer near you, CLICK HERE.